Now, there have been a lot of good prequels lately (See: Rise of the Planet of the Apes & X-Men: First Class), but when it comes down to covering a prequel that is also based on a long and dry book, there may be come consequences that come with making it into a movie. It’s been many years since the last Lord of the Rings movie (which had the worst 45 minute long series of which the movie appeared to end like 18 times), and when this one was announced, one could only HOPE that it wasn’t going to be as dragging as Return of the King. I will say this much – if you haven’t watched the original trilogy, you WILL NOT understand this movie. The movie dived in to essentially the beginning of what would eventually lead into The Fellowship of the Ring. 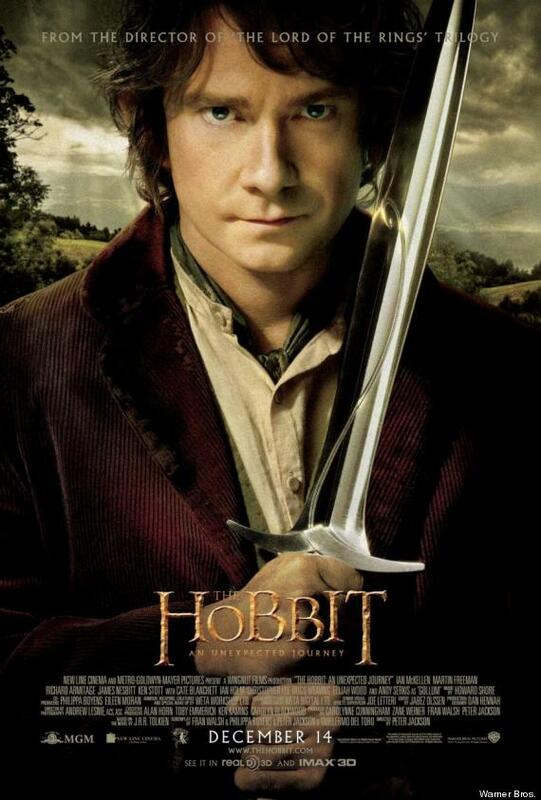 From the introduction of characters we were pretty much familiar with (Gandalf, Smegal, The Elves), to the premise of the story, this was the adventures through Bilbo’s eyes and experiences that made the whole LOTR trilogy possible. How everything was pieced together didn’t make it a dry film, but it was still descriptive, and you could point out the pieces that were recognizable to the viewer. Adventures for those who aren’t accustomed to venturing out of their own spaces seem like a dream for many, and for a particular one Hobbit, it was a dream for Bilbo. When an opportunity comes across as great as the one he was given, of course you’re going to be skeptical, but you have to think of the possibilities; you get to LEAVE and see what else is out there – I mean, isn’t that what we all want? To see the world for what it is, despite the unknown dangers that may cross us? I’m just saying. The story of The Hobbit (it’s been a LONG TIME since I read the book) has the same ideal as Fellowship, because you have a group of people brought together to accomplish a goal, so I liked that consistency. What I liked about this movie more than the other LOTR movies was that although it was long, it wasn’t all boring. It was entertaining, there was action, the story kept moving, and there wasn’t all of that dry “Oh Sam” or “Mr. FRODO” banter that were queues for eye-rolling. You have to take into consideration that these books are LONG, so yes at times the movie will slow down to grasp onto the story itself, but the way that it was played out (especially a more animated Gandalf) made it more interesting and easier to get through. Consistency is key – and this movie had its consistency when it came down to the story and hinting towards the beginning of the Trilogy itself. What a lot of people may hate about this movie was that there were too many unanswered questions, like: ‘what happened to this character?’, ‘why did so and so do this?’, ‘WHY DID THE MOVIE JUST END LIKE THAT? !’ (trust me you may say 1 of 3 or all 3), but that’s the greatness about it, because in a sense, it’ll make you want to go back to (not the whole trilogy) but to the first movie and make you ‘ohhhhhhhhhhhhhhh THAT’S WHAT HAPPENED? !” Just go with me on this one – it happened to me at like 4 in the morning and I was putting all of the jigsaw pieces together.